Tim Cook was born and raised on the fertile lands of the Red River Valley where he quickly learned the values of hard work and a dollar earned. After gracing the doors of three colleges over a period of seven years, Tim finally earned his undergraduate degree, with highest distinction, from the University of Minnesota in 1980. Tim also studied at “The Harvard of the Pines,” St. John’s University in Collegeville, Minnesota and at “The Harvard of the North,” the University of North Dakota in Grand Forks, North Dakota. In 1982, he decided to go to law school. Tim graduated at the very top of his class from William Mitchell College of Law in 1984. Tim has worked hard in a wide range of pastures, some greener than others. He has worked in several factories, he has pounded nails and sawed planks. He has driven truck, poured concrete, and stripped asbestos from old boilers. Over thirty years, these experiences have further brought Tim to a place where he can well provide his clients with solid ADVICE, be a forceful ADVOCATE when necessary, and work with everyone to utilize the many ALTERNATIVES now available to resolve personal and business disputes fairly, efficiently, and promptly. Tim has long held an AV-rating with Martindale-Hubbell, the highest possible rating for both competency and ethics. 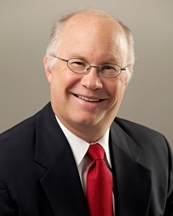 He has been regularly recognized by his peers as a Minnesota Super Lawyer ®. He is a Rule 114 Neutral on the Minnesota Supreme Court’s roster of qualified individuals in ADR. He has been a frequent lecturer to trade and professional organizations on a wide range of topics involving construction, real estate, and ADR matters. For many years, Tim was an adjunct professor at William Mitchell College of Law. He continues to be active in various industry and trade associations. He has been an engaged volunteer in several community-based service organizations. In his spare time, Tim values and enjoys time with his really big family, dancing with Linda, and following the greatest game on earth, college hockey. He loves music, has brought down the house in crowded karaoke bars, and is an amatuer hack on the piano and the guitar. He is also a pretty good sandbagger when golfing and is certified as an expert walleye fisherman. He once gardened, he longs to again camp the wilderness, and he is always committed to just plain treating people right.